Welcome Authors Shelly M. Burrows & Michael S. Stewart and Their Book – BLOOD MOON! SYNOPSIS: In book one, Blood Moon Werewolf witches, Conri Olcan and Saoirse MacKay are on the hunt for the bones of the original Alpha of the Blood Moon Pack, Panteon. Cronus, the leader of the Vampire Coven will stop at nothing to prevent that from happening. Mike Hardy and Bentley Britt are caught in between these powerful beings. Will they become casualties of war? Or will they be more important than they even realize? Will Conri and Saoirse survive? Will Cronus succeed in stopping them? Follow this thrilling tale and enter the Variant World. Shelly: I’ve loved reading since I was a girl. My favorites were Stephen King and Dean Koontz. Now I enjoy Kresley Cole, Gena Showaller, Stacia Kane, and Charlaine Harris. 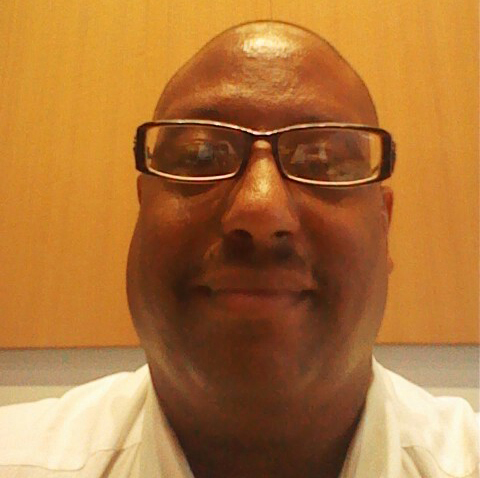 Michael: A lifelong fan of stories involving the supernatural, I grew up in Los Angeles and still reside there. I love animals, sports and anything from the 80’s. Shelly: I was a goofball. When I lived in Michigan I played volleyball and basketball, but when I moved to Ohio, I got out of sports. Mike: I was shy, introverted, a bit of a dreamer, I suppose. Shelly: I LOVED English…well the writing aspect. I hated grammar. Mike: Yes, I did. My favorite subject was history. Shelly: I’ve always wanted to write, but never really considered doing it full time. That is what I’d love to do, be a writer full time. Mike: To produce books that people enjoy, with characters that are entertaining. I would love to be a novelist full time. Shelly: I read a lot of Stephen King, Kresley Cole, Gena Showalter, Dean Koontz and thanks to Michael, Stuart Woods. Mike: Dean Koontz, Jim Butcher, V.C. Andrews, Lawrence Sanders, Stuart Woods, Sidney Sheldon and Jackie Collins. Yes, you read that right, Jackie Collins! Her novels are wildly entertaining. Shelly: Blood Moon is our first novel, but I’ve written short stories through our role playing. Mike: This is my first published work. I wrote a novel in the early 90’s, but it was raw, to say the least. Shelly: Well, we have a few. Bentley has had a rough life. She grew up in a crack house, but managed to get through school and into college. Life had other ideas for her though. She’s definitely a fighter. Saoirse on the other hand is tough, kind when needed but has a deep hatred for vampires. Though, I’d say she is fair. She has a lot to think about at the end of the book. Mike: Yes, we have a few. Mike Hardy is a good man, a shape shifter, who is estranged from his family. He chafes at conformity which puts him at odds with his rigid father. He’s never had someone see the best in him until he meets Bentley. Shelly: We’re nearly through with the second installment of the Dark Moon Series. It’s entitled Dark Harvest. Shelly: It’s a continuation of the story started with Blood Moon, but you’ll get to meet more characters in the Variant world. It’s about reaping what you sow. Mike: It’s also about the domino effect, showing how all actions, no matter how well intentioned, have consequences. Shelly: Paranormal, Supernatural, Action/Adventure with some Romance up in there. Shelly: I have always loved the supernatural and horror type stories. It seemed natural to write about it. Mike: Yes, I agree with Shelly, it’s a love for the genre. I grew up watching Christopher Lee as Dracula and Lon Chaney, Jr. as the wolfman. When I got older and discovered the works of Koontz and King, I was hooked. Mike: Taylor Kitsch for Mike Hardy and the Bond era Sean Connery for Conri. As for a current actor for Conri, perhaps Clive Owen or Kyle Chandler. Shelly: It depends on what the story calls for. For example, part of Blood Moon takes place in North Carolina, so I wanted to make sure I got the folklore right, even though I’m a transplant to North Carolina. Mike: Yes, it really depends. Shelly: We were actually encouraged to write. Mike: This year, after receiving encouragement from someone who had taken the plunge. Shelly: Because I love seeing people engage in the world that Michael and I have created. It’s like letting your child grow up and go into the world for the first time. It’s exciting. Mike: It’s cathartic, exciting, frustrating, funny and many other things. It’s something I’ve always wanted to do. Shelly: Oh, it’s a part-time thing for now. Hopefully it will blossom into a full time career. Mike: Part time, with never ending dreams of doing it full time. Shelly: Most of our characters come from role-playing, but then there are some new characters in our books as well. Mike: From our depraved imaginations and I love it! Shelly: We have an idea of how a book will turn out, but we’re up to changing it if we feel it being pulled in a new direction. Mike: I like to think we have a skeleton to work with, so all the bones and structure are in place, but how the flesh of it will fill out is not determined until we get in the heat of writing. Shelly: I’m learning that sometimes less is more, but you need to know when to use that. Mike: I’m hopeful that each day we’re getting better than the day before, but I think that’s how all writers feel, constantly striving to improve. Shelly: I find that I have a harder time writing for the all dark characters. It’s hard for me to get into that frame of mind… which you will see one of those characters in our next book. Mike: For me, it’s having to stop when we have a good rhythm going, due to the real world intruding. Even though that is not something that can be avoided by anyone. Shelly: For me, it’s playing off of Michael. He is such a skillful story teller and he makes it easy to get on board. Mike: Playing off Shelly with characters we know so well. I don’t have to think “What would Mike do or say here to Bentley?” I know it sounds strange, but the characters think for themselves and that makes writing so much easier. Shelly: Blood Moon was done fairly quickly. A couple of months, but those characters we are very familiar with and knew intimately. Mike: Dark Harvest, we’ve been working on since June and it’s not done yet, so I guess it depends. Shelly: It’s exciting, though we have a few characters that are screaming for attention! Mike: It’s fun and exciting, we have so much more to get out there! Shelly: I love reading. When I find a series, I dive right in. I love Kresley Cole, Gena Showalter, Stacia Kane, Karen Marie Moning, and Stephen King. Though to be fair, there are many, many more. Mike: Not as much as I’d like, but I hop on any of Jim Butcher’s “Dresden Files” novels that come out. I also love reading. ShelIy: I prefer to have the book in hand, but I do have ebooks. I’ll use my ereader while waiting in line for my son at school. Mike: I have a ton of paperbacks, some I’ve had since my army days in the 80’s, but for convenience, I’m building a library of ebooks that I can read on my tablet. Shelly: Necromancer Awakening by Nat Russo and I just finished Demonically Yours by Lauren Peyton. Mike: I just finished reading “Ghost Story” by Jim Butcher again. I love his imagination. Shelly: We do that on our own. But it’s not something we enjoy. One day I’d love for someone else to do that! Shelly: A very talented woman by the name Cris Palomino. She is fantastic. Shelly: Absolutely! If the cover doesn’t pull you in, you’re less likely to pick it up. Mike: I agree with Shelly on this. Shelly: Well we love our good reviews, I mean who doesn’t. But we also learn from constructive criticism. Mike: It’s something that goes with putting your work out there. We love and appreciate the good reviews and consider any negative ones. If it’s something we feel we should work on or change, we try to do so. Shelly: I think it’s important. You can reach more people through social media. Mike: In this day and age, I don’t know how you can not use it to help you, especially when you are trying to get established and don’t have an automatic huge fan base. Mike: Shelly is really the one who handles this area and she’s fantastic at it. Shelly: Never give up. You may encounter rejection, but then again that’s what makes you better. Mike: Believe in yourself, your work, no matter what. Shelly: I think they’re fun. We have a dream cast video for our books. Mike: I enjoy them and they are a good way to promote your work. Shelly: I think it’s a necessary thing. You can’t underestimate the power of word of mouth carries. 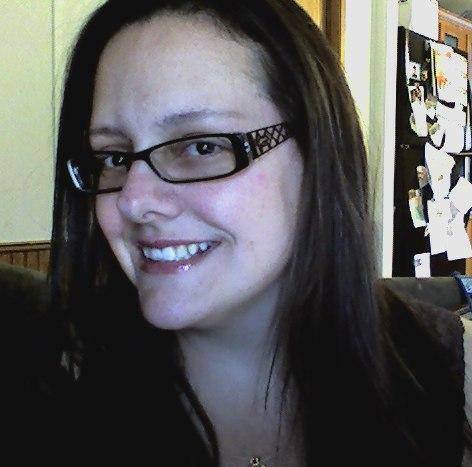 Shelly: Watching tv, reading and spending time with my kiddo. Mike: Watching TV and movies, reading and playing video games, especially Grand Theft Auto 5! Shelly: After every storm, the sun is waiting to shine. Shelly: True Romance. It has everything. Action, adventure, romance…. Mike: Its almost impossible for a film nerd like me to pick just one, but I’ll go with “The Long Hot Summer” because I love the misunderstood character of Ben Quick, played by Paul Newman and his interaction with the repressed Clara Varner, played by Joanne Woodward. Shelly: Sitting on a beach somewhere sipping a fruity drink. Mike: Sitting in the owner’s box of a Lakers game! Shelly: Don’t listen to the negativity. You are beautiful just the way you are. Shelly: Alice Paul. She was one of the key figures in the Women’s Suffrage Movement. I’d like to pick her brain. What life was like, the struggles she endured and what she would think of our world today. Mike: Martin Luther King, Jr. I’d like to hear what he would do to continue the great work he started. Shelly: Never give up. Even if it’s writing for yourself, you never know where it can lead. Mike: Keep writing and believe in yourself, you have something unique to share with the world. 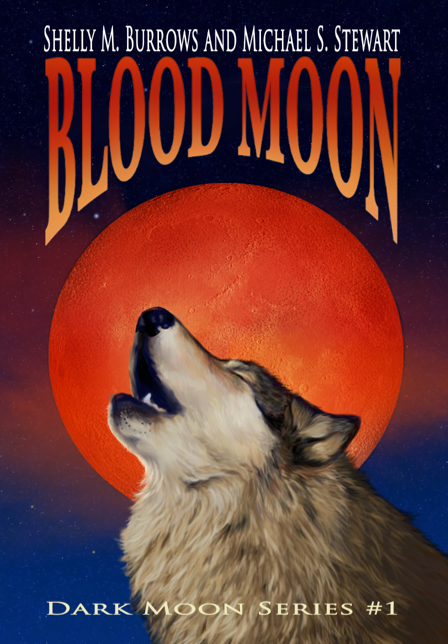 This entry was posted in Author, Blog Tour, Blogs, Book Launch, Books, GMTA Authors, Guest Posts and tagged blog tour, blood moon, book, books, howl, moon, shifters, vampires, warewolves, witches by P.S. Bartlett. Bookmark the permalink. Thank you so much for hosting! You’re fantastic!